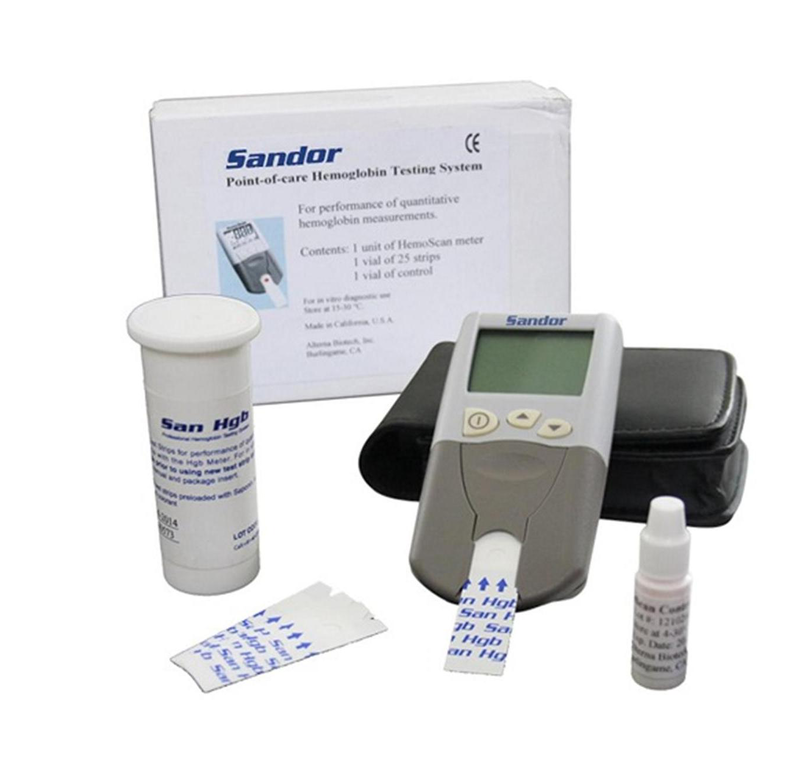 San Hgb is a simple, portable, rapid and cost effective system for Point-Of-Care measurement of total hemoglobin. The meter measures the change in optical reflectance after the application of blood on the test strip. It can determine levels of anemia within 30 seconds. Step3: Read the test result. Fast – Rapid three step test, requires only 15 µl of capillary or venous blood.